1,500 year old find includes name of Byzantine Emperor Justinian, Christian Orthodox priest. Israeli archaeologists on Wednesday unveiled a 1,500-year-old portion of mosaic floor bearing the names of Byzantine Emperor Justinian and a senior Christian Orthodox priest. 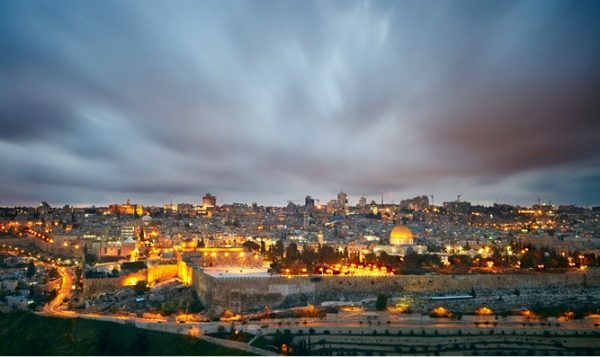 David Gellman, director of the excavation in east Jerusalem’s walled Old City, said that while the area was rich in archaeological finds, few such inscriptions had been found. “Direct text and letters from people back then are relatively rare,” he told AFP. The Greek inscription, dated at 550 or 551 AD, commemorates the founding of a building thought to be a hostel for pilgrims near the city’s Damascus Gate. Gellman said the rectangular section of mosaic, 1.14 meters (3 foot 7 inches) on its longest side, “tells us about the way churches and monasteries worked back then. It makes this piece very unique”. “It tells us that the abbot, the head of the big church in Jerusalem, was not only the head of that specific church,” he said. It was discovered intact about a meter (three feet) below street level as Gellman and his team made a routine exploratory dig ahead of the arrival of workers to lay communications cables. “We were very close to closing the excavation when I noticed that a few of the mosaic stones, which were otherwise plain white, were at a different angle and seemed to be a little darker,” he said. “I cleaned up that small corner… and found that it was the bottom left corner of the inscription itself,” he added.